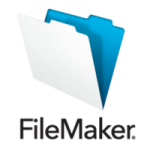 I just got a mail from Filemaker to download the latest release of their software, and have started doing so. As far as I can see, this release addresses a major annoyance with earlier versions: The need to be on Windows or Mac for the clients. They have implemented something they call Direct Web Access in Filemaker Pro 13, meaning you can basically use the browser as a fully fledged client connection to the server. I hope by god that this will be true, because that will mean we can finally ditch Windows on the company computers, and replace it with Linux. Time will tell though if this really is the case. I have been waiting for something like this for a long time, and even started playing with the idea to port our internal system based on Filemaker Server and clients over to one of the open source database platforms available. Alternatively we could have gone for a pure web based system built in php and MySQL. I have gotten to the conclusion that it’s simply not worth it. Our solution is so complicated that it would take a lot of efforts to move it to another platform. We have a mix of native Filemaker, file transfers to exchange data using FTP and timed scripts run on two external servers, 43 proxy servers running php as well as calling php from within Filemaker to check positions in Google that gets added back to FM. So, as you can see – it would not be very easy to trash it all and start over. Filemaker Pro Advanced 13 installed including the plugins from Filemaker Pro 12. I have logged on the the solution in Server 12 with no problem. It looks like 13 is faster than 12 even when it’s just the client being upgraded so far. This looks good! Apparently there is no need to upgrade the database in this version. I’m glad, because that is always a nerve wrecking thing to do. I expected some problems here, but it went pretty smooth all in all. The whole procedure took a couple hours including fiddling with IIS 7 for the new WebDirect to work. I forgot to make a backup of the old server before replacing it with the new one, but that was not a big problem since I remember what schedules I had going in the old one. WebDirect works pretty well, but I can see I will have to do some adjustments to the layouts for it to work perfectly. I just discovered that schedules acts as illogical as earlier versions of FM Server. They are not getting triggered on repeat unless they get started after 12 AM. The thing is, you can’t set something to repeat on a per hour basis if you have set the scheduler to trigger a script at 4 AM that you want to run one time per hour until next morning. You have to set it to start 1 AM and run until 11:59 PM to get triggered once per hour. What is your experience with Filemaker Pro 13 compared to the older versions?